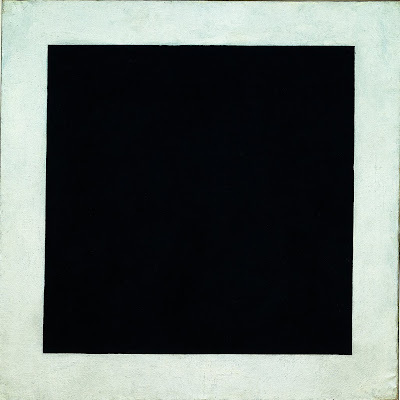 Umer Toor Blog: Hakim Murad on Ka'ba & Malevich's "Black Square"
Hakim Murad on Ka'ba & Malevich's "Black Square"
This majestic and serene painting above is known as the Black Square by Kazimir Malevich, a Russian painter (who died in 1935). It is a very fascinating painting i have seen for years. Abdul Hakim Murad writes about it at length: "Malevich’s greatest work is a painting called Black Square. This is a square, painted completely in black, against a white border. He called it his ‘absolute symbol of modernity’, a modernity which he hoped would be pure and spiritual, as opposed to the congealed decadence of 19th-century Western materialism. and made them testify of themselves, He said: ‘Am I not your Lord?’ They said, ‘Yea! unaware.’’ (7:171) When we visit the House, we are therefore invited to remember the Great Covenant: that forgotten moment when we committed ourselves to our Maker, acknowleding Him as the source of our being. 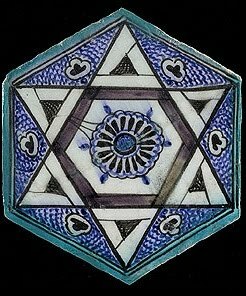 The Black Stone itself is, according to a hadith which Imam Tirmidhi declares to be sound, ‘yaqutatun min yawaqit al-janna’ - a gemstone from Paradise itself. The yearning for the Ka‘ba which sincere Muslims feel whenever they think of it is therefore not, in fact, a yearning for the building. In itself it is no less part of the created order than anything else in creation. The yearning is, instead, a fragment, a breath of the nostalgia for our point of origin, for that glorious time out of time when we were in our Maker’s presence." MashAllah. Amazing how astronomy, spirituality and the exploration of one's intuitive feelings through art are linked together here..